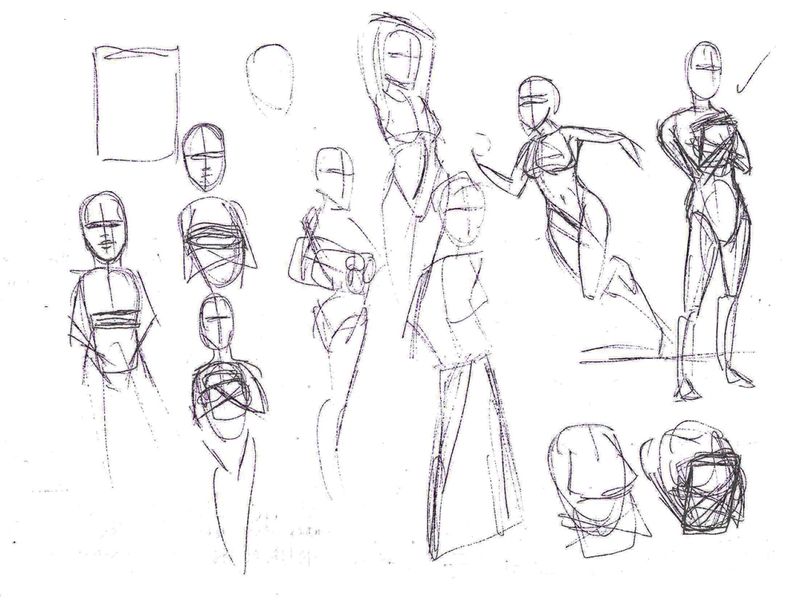 It probably makes more sense to do the art excercises i have been doing here really as opposed to my sketch book. Hopefully i will be able to do this for some time and upload it as frequently as possible whilst i leave the sketchbook for more developed work. Anyway, last friday i forgot to upload my tat so i'm doing it now. 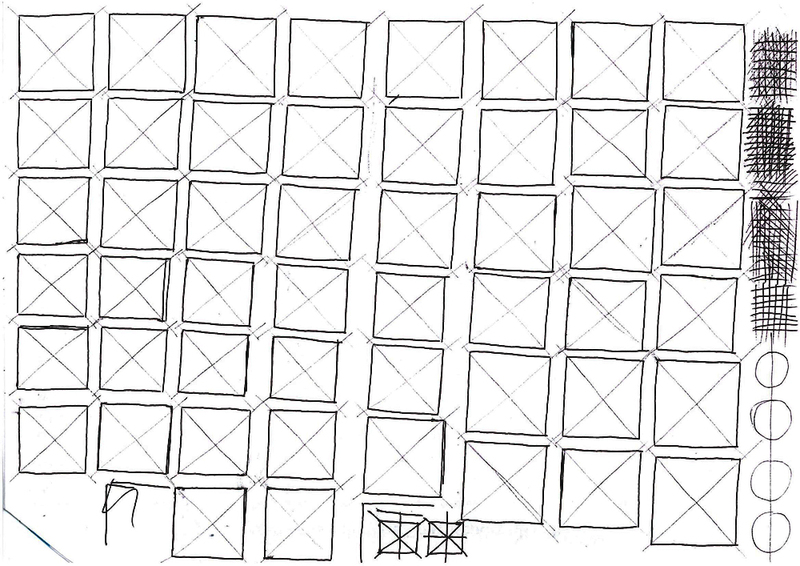 After that effort and some feedback, i decided to take things slowly and draw squares in a far more slower, more deliberate pace. Not much to say really its not all that much of an improvement and it was probably because i kept moving around. Hence the odd angles of the squares and imperfections of a fair few of them. I gotta say, John, you're putting in a lot of effort and it's awesome and inspiring all at once. :) Good job, man! Thanks grieverjoe. Truth be told i'm doing this at work during my lunch break at the town library. Occasionally whilst on the phone when i'm installing something, waiting for a machine to restart, etc. 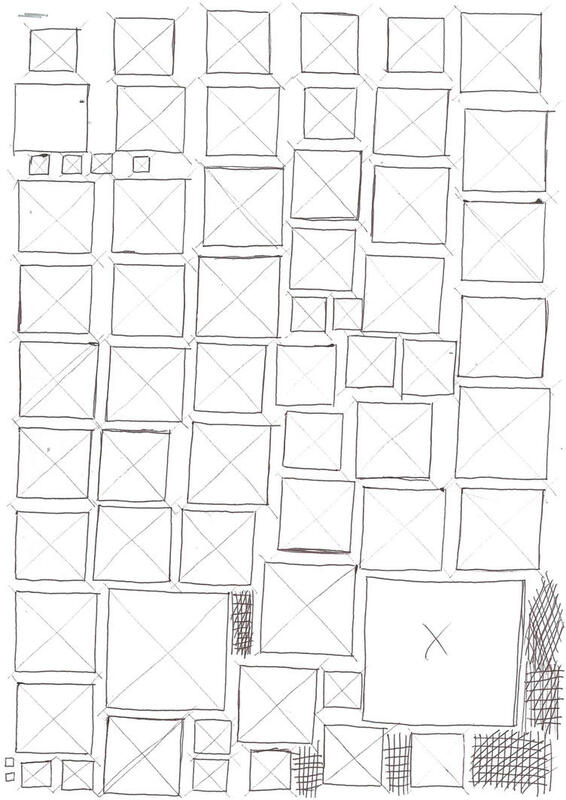 I can easily manage squares and basic shapes, But what i really want to do is get better and crack out decent artwork. But whatever, basic steps i'm prepared to listen to my peers and superiors for advice and with that todays work! I see some improvements here. Still plenty of opportunity to improve. Oh and i did some practice lines as well. More to get the damn biro working on the paper. 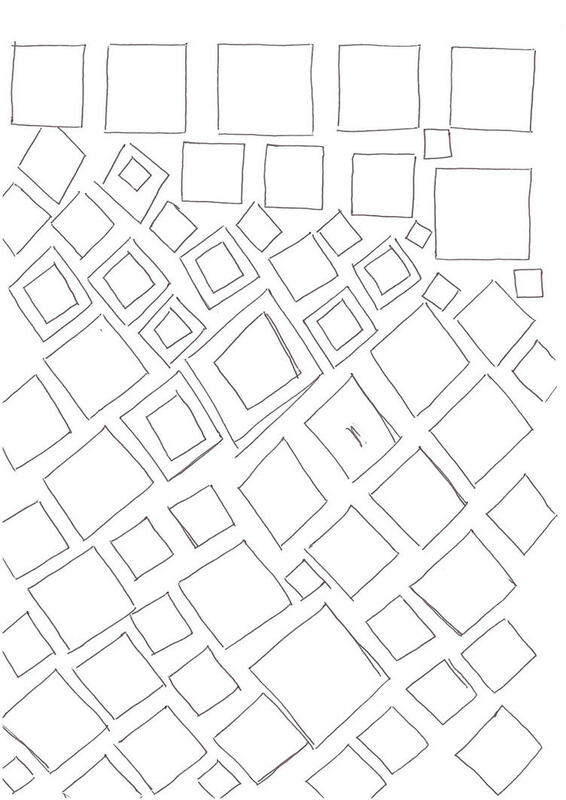 More squares. I put the cross in to see how far off i was from the mark. The first lot aren't much cop but the second lot show a lot more promise except for the fact they're wonky. Might have to add grid lines or something. More squares. Again i've put the crosses in for accuracy and such. I had a look at the scan today and compared it with the paper and i'm raising a few eyebrows. it wasn't so misaligned or wonky when i looked at it. i even raised the paper next to the scanned one to see if the problem. Rotating the paper didn't suggest that the squares were that off when i looked. But i dunno ,maybe looking at a different format may show stuff that i never noticed. Still i'm eager to move on and do something else. Like circles and ovals. 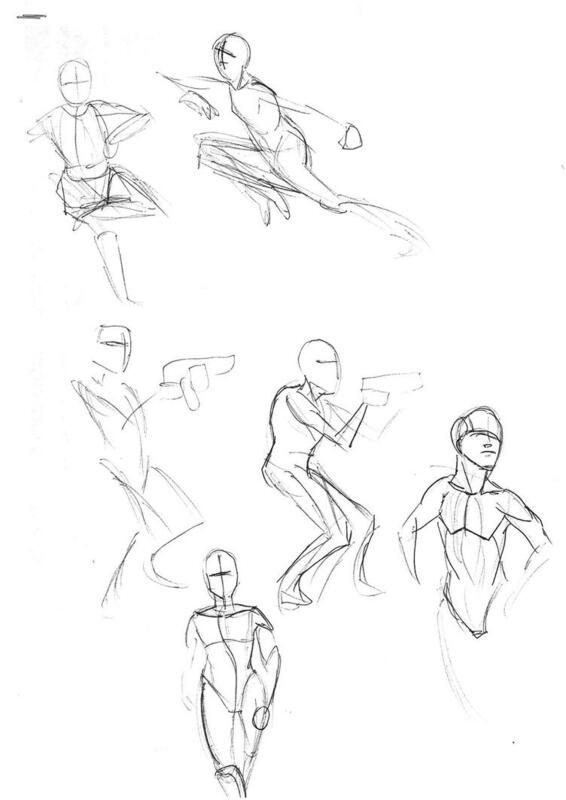 Incidentally, i had some thoughts on this topic and was consider using this as my dumping ground for random sketches, exercises and general crap that i experiment and just filled with fail and just painful to show. Friday and i thought i might do something different. Squares, circles and triangles. Also some vippu inspired non ref pics. I still can't believe how bloody wonky the shapes are. Sure, i know there were some flaws but not as exaggerated as the pictures would lead to believe. Tomorrow i'll be doing a bigger piece. I know easter bank holiday is coming up so a large project is in order. question is What. Suggests are of course welcome. Maybe a theme or a picture or something. I almost didn't click on this thread because, "it's going to bethose stupid squares again" :/. But I'm glad I did. These figures are really good. You're getting more accurate and much more consistent. There are still signs of fatigue, especially with the X's. 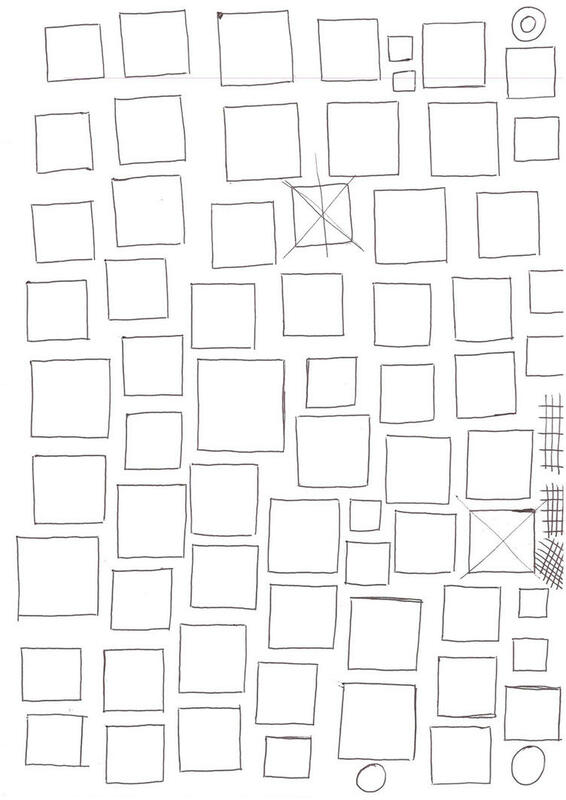 When you do a page, is it in a single session or do you it spread out during the day? I had a look at the scan today and compared it with the paper and i'm raising a few eyebrows. it wasn't so misaligned or wonky when i looked at it. i even raised the paper next to the scanned one to see if the problem. Rotating the paper didn't suggest that the squares were that off when i looked. But i dunno ,maybe looking at a different format may show stuff that i never noticed. It might not be you. Some scanners introduce a slight skew, like the pixels aren't 1:1 squares while scanning. I'm not sure why. But, then again, it might be you, and looking at the scans helps you to notice it. 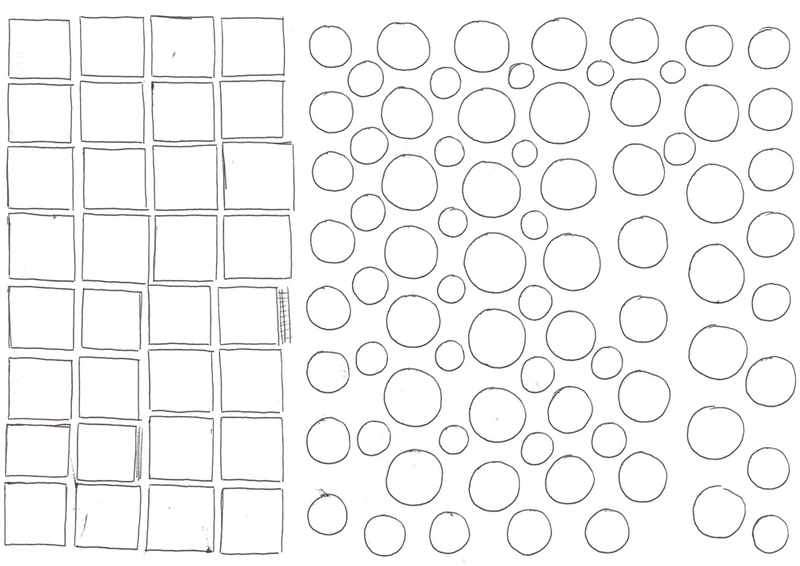 A simple exercise like this holds you accountable: you either drew a square or you didn't. Over time, that forces you to improve your self-judgement. 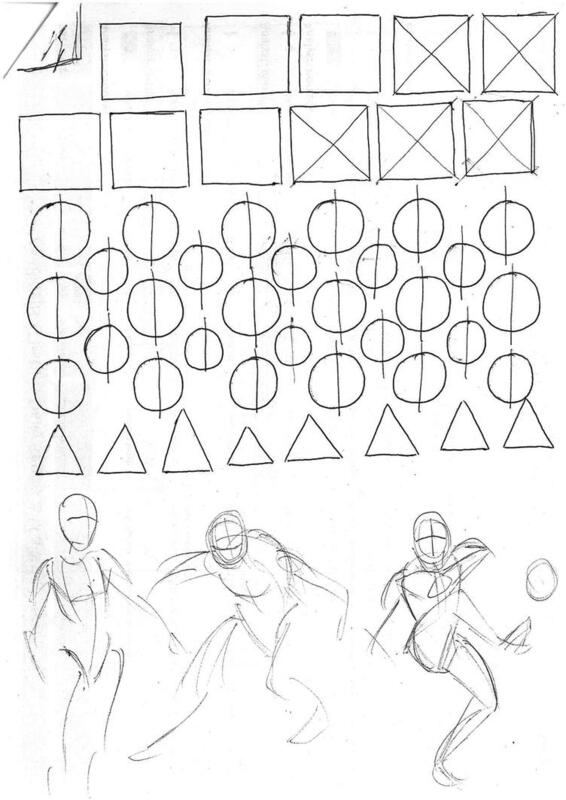 You'll start noticing more and more things that aren't (or won't be) accurate when you draw them, and how to fix them. Still i'm eager to move on and do something else. Like circles and ovals. Look at the example on the right. In a perfect circle (which is an ellipse that fits in a square), each quadrant is equal. So you can start with a 90 degree cross with an arc in one quadrant. Then, as you fill each quadrant with its own arc, you can sanity check it by making sure that it is a mirror image of the arc in the next quadrant. When you fill all quadrants and your arcs mirror each other, you should end up with an ellipse (in this case, a perfect circle). Thanks for the look over xchris. It looks like i'm just off by just a mm or less which would probably explain why i couldn't spot the problem when i turned the paper around every so often and sticking the cross it looked like it was ok. Some of the time i can see where i have made the squares slightly too wide and i compensate by extending the box or forcing myself to go short on the next one. The skew thing its going to be looked at. I sense i'll need to get that digital camera and take a photo of the original for you guys and let you guys decide whether its as misaligned as the images above show. Hopefully in the next few weeks i will have more up. But like i said before in my recent post, i will be leaving my current job in 2 weeks so people won't be seeing scanned paperwork and i may resort to photos or taking everything to photoshop where its a much, much, uglier picture. Tried a similar practice yesterday morning before my sketchbook stuff and it was horrible. hopefully more variety next week. Theres going to be squares AND circles in them! Generally i mess around at the end of the week to reflect on what i've learnt and such. I believe Easter weekend is coming up so i have good friday off, i might skip the let loose thing on friday or just do the let loose thing on thursday. 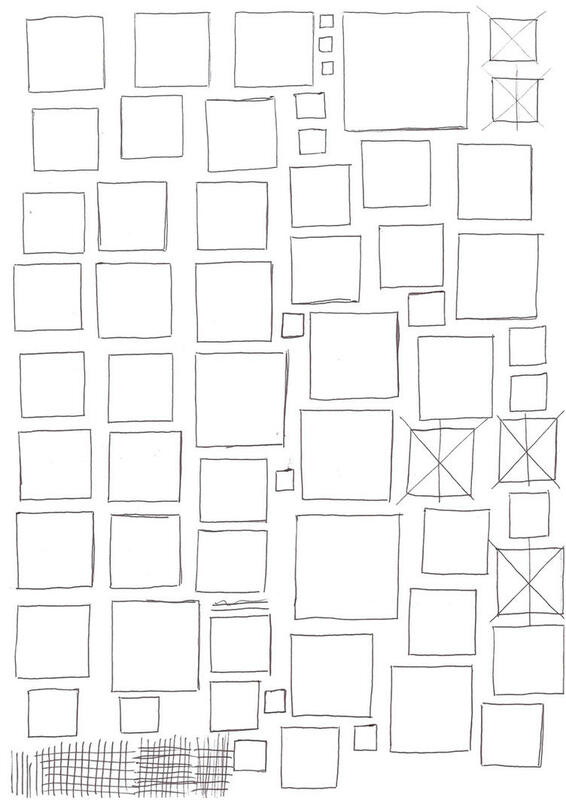 Just for sake of record keeping here is how the squares and shapes look if i did this exercise in photoshop. Monday practice. 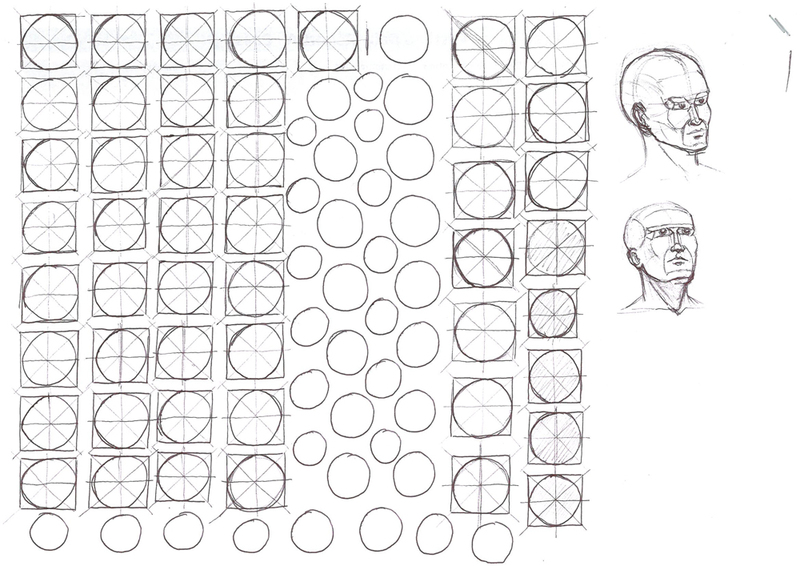 More squares and circles and more of a warm up. 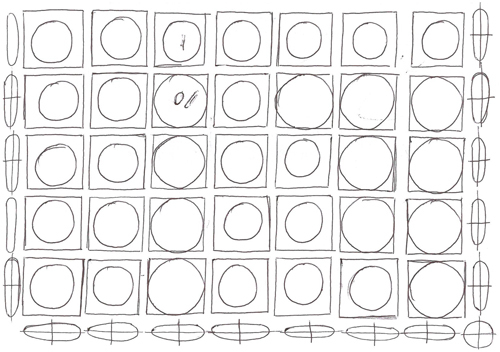 Wasn't really focusing too hard on the circles (namely because i forgot about the standards of a decent circle). This one was done on half a sheet of a4 paper (so a5) during a call remotely trying to install some software on a slow pc. The next one was done during lunchtime during my common haunting ground of the library. With more emphasis of standards. No real improvements here, but i did learn to try and compensate the top edge of the square where i have to try pushing up slightly when i draw the line as i gravitate downwards in most cases. I'll need to figure out how to compensate for right edge as well. Another thing was to concentrate on the destination and not the line itself (think riding a bike or driving a car where you look ahead to where you're going and not on the road below). Ellipses are hard! You have to mirror each quadrant, and the arc of each quadrant has to look a certain way. 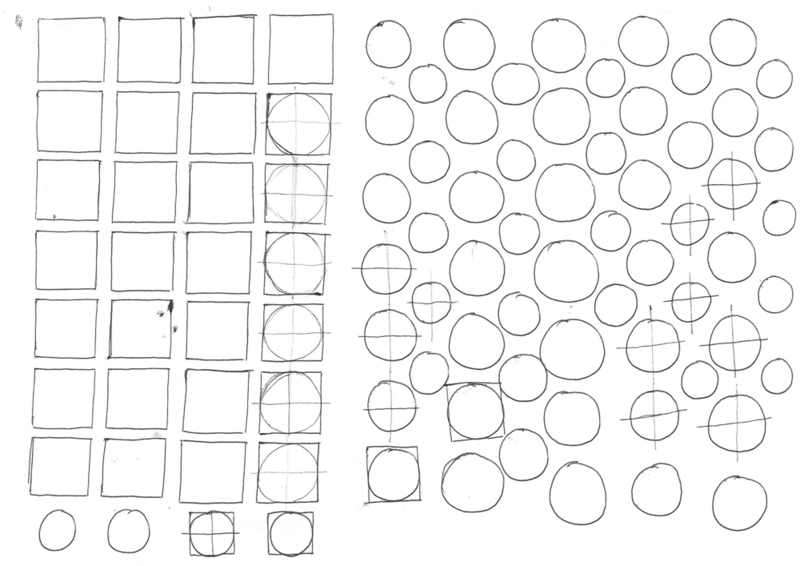 For C&C, I've superimposed a vector ellipse (including center cross) over each hand-drawn oval, then copied the vector drawover by itself on the bottom row. I hope that way it's clearer how each ellipse is reflected on both axes. A good way to start is to put down the cross and and arc, then mirror your way up to the ellipse. You can also can freehand it, draw a cross in the middle, then mirror the best quarter of the ellipse into the other three quadrants. You can correct your ellipses as you draw them by comparing the arc on one side of a line and making sure it is the mirror image of the arc on the other side of the line. Another thing was to concentrate on the destination and not the line itself (think riding a bike or driving a car where you look ahead to where you're going and not on the road below). Well spotted. 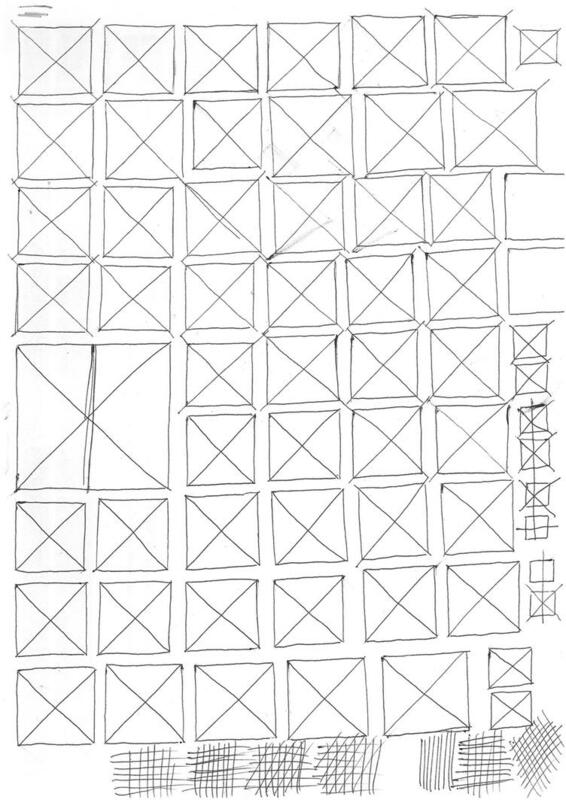 You can train yourself to draw surprisingly straight lines this way. 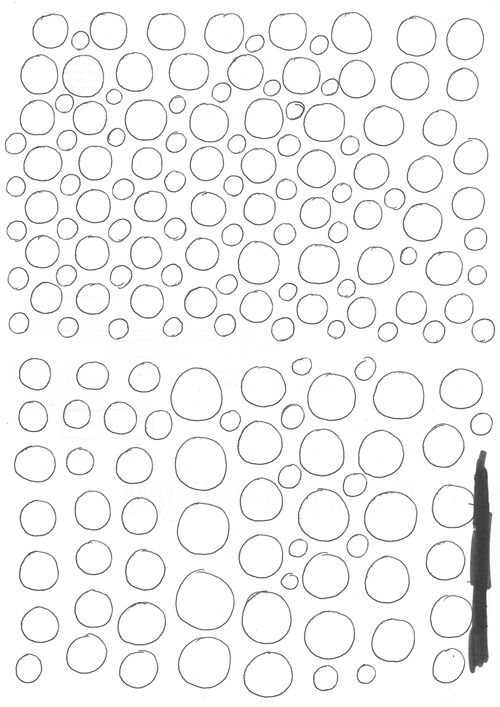 Start with one of two randomly-placed dots, concentrate on the destination and move the pen to it. When you start (or are having trouble), it helps to calibrate your arm and eye by taking a few "whiffs" before putting the pen to paper. Take your time. You're building up a skill. It's better to practice slowly & well on a few exercises than fast & wonky on a lot. You can use the corner of a sheet of paper to judge the right angles. Each of the four angles in a cross will be right angles (so they should all look indentical). Aim for that. 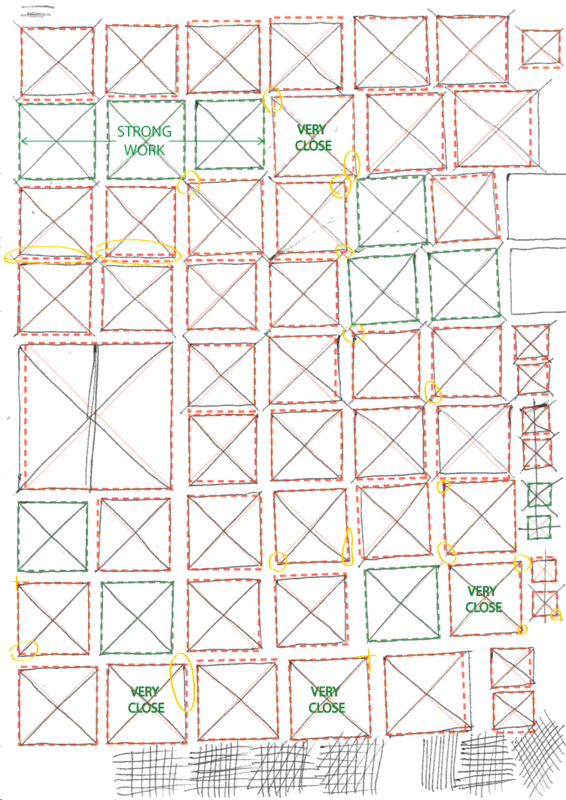 When you come back to squares and ellipses, an improved instinct for 90° angles will help. Ok more stuff. 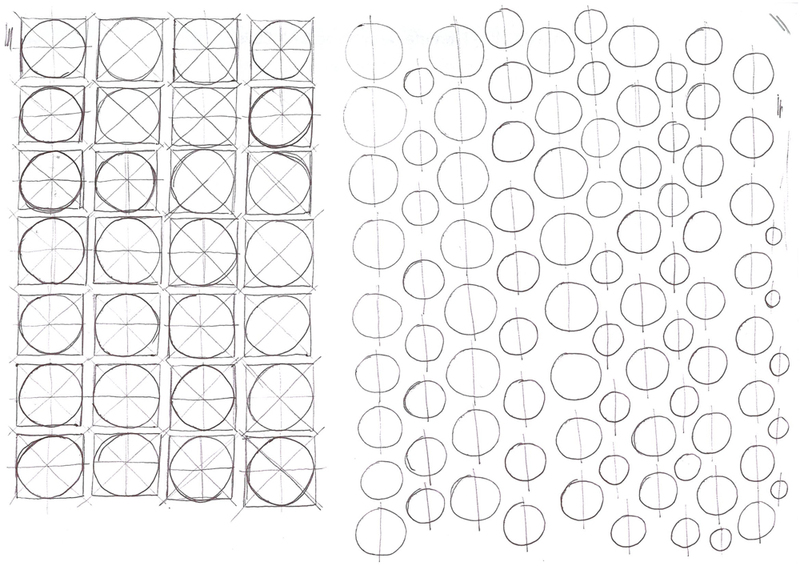 I was generally messing around with squares and lines at first before i decided to make a hard look at circles. Started off with a semi circle and realised that i was much more successful when drawing c's rather then an N shape each time. First 2 i did on a5 sides and flattened down afterwards. Finally lunchtime break practice. Again i was focusing more on circles and getting the rhythm going. More tomorrow. I really need to get something ready for the easter weekend. Thursday being the last work day for me, i thought i will let loose and do some practice figures in the hopes tomorrow i have a plan as to what the hell to draw. To put it bluntly: i don't have a real idea. Maybe a girl holding a book in a library. BUT! 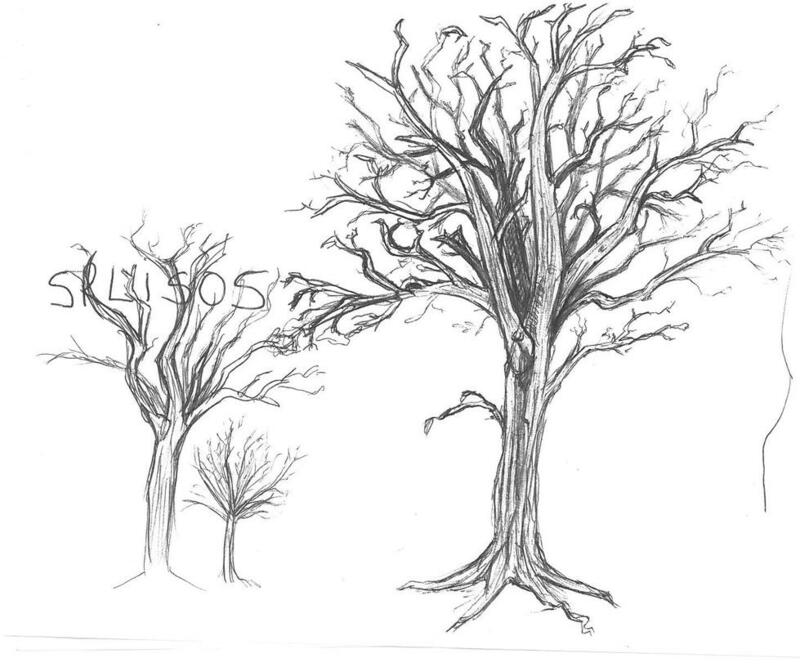 First i want to upload something completely different from the standard fare and provide some trees i drew last winter. It took me a few hours to draw this on and off. 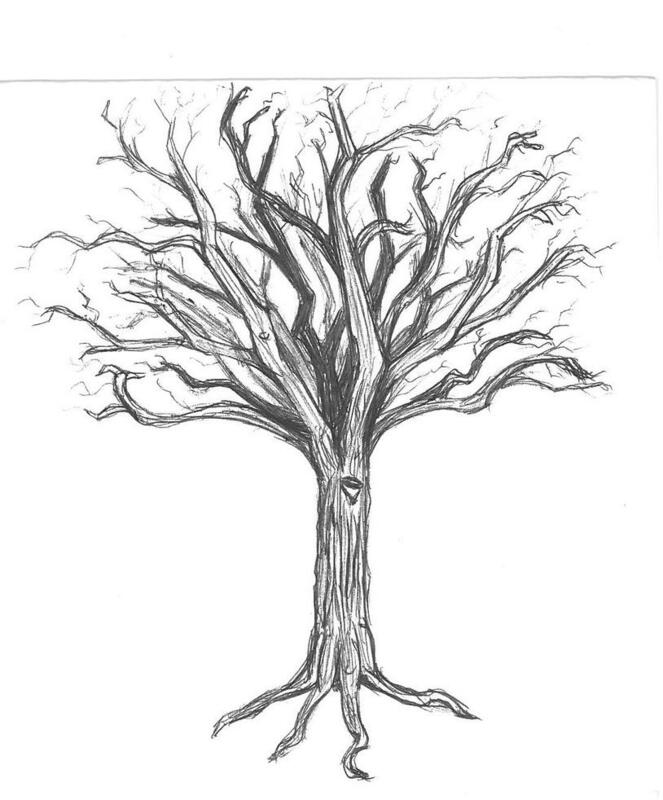 I would draw the big branches and then throughout the day i would add the smaller ones in between. Now, back to the stuff i practiced today. 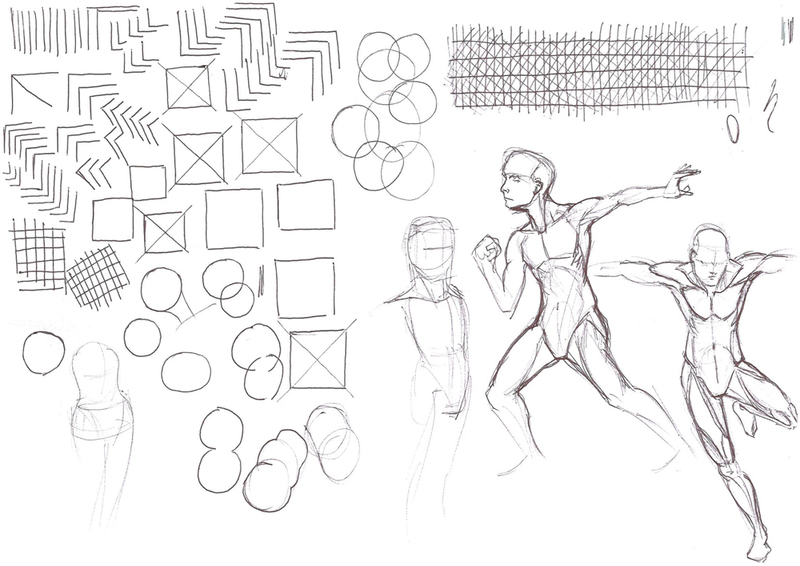 Some line studies and then some figure drawing. Tomorrow sketchbook work. Hopefully. Might just dump it in the WIP if i decide to spend the next few days on a pic. 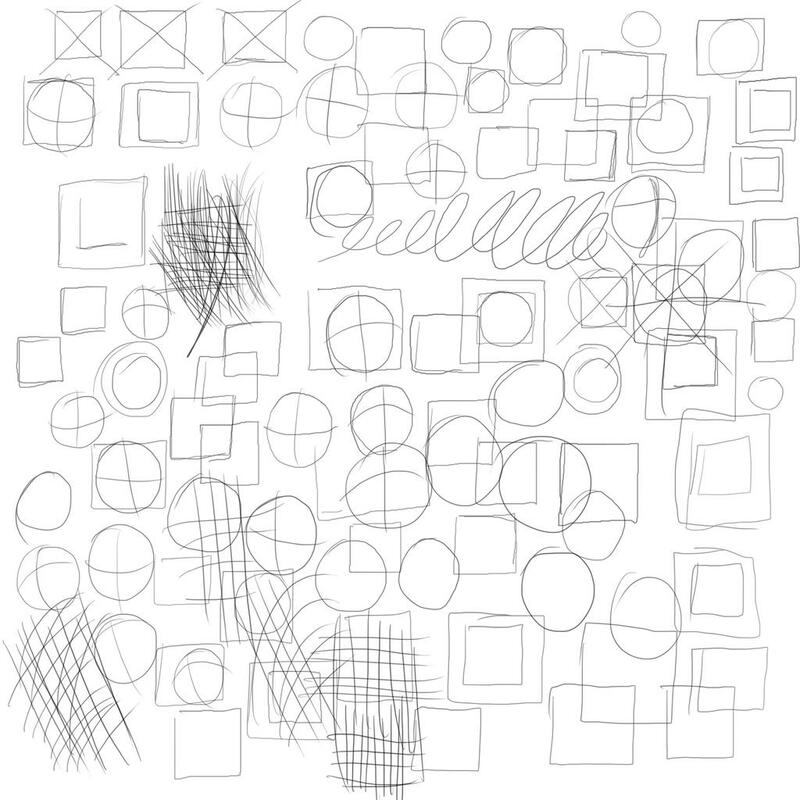 Nearly 5 days off from doing squares and circles and my skills have degraded. Nothing note worthy to say today really. 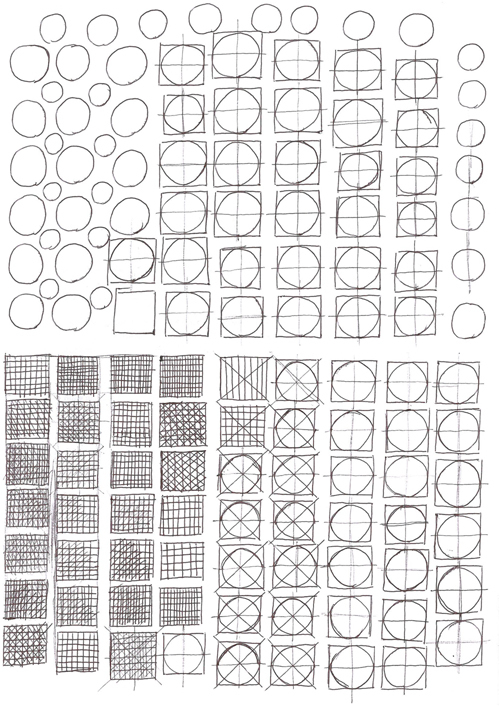 More circles and squares. I'm starting to wonder where the hell i'm going wrong and i suspect its because the squares are too wide. Might try making them a little more narrow. 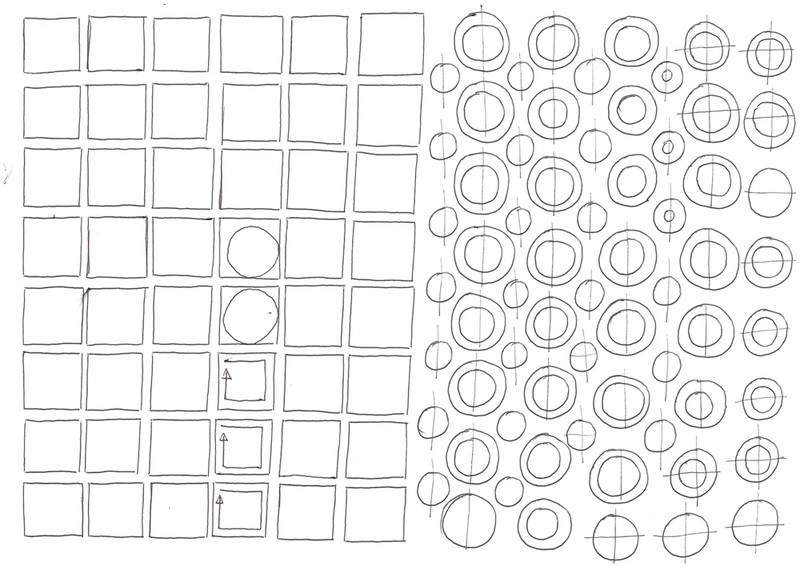 Atm concerning circles i'm drawing them in the squares considerably more slowly hoping i get better circles. Mixed results due to rubbish squares.